This important document gives a summary of our strategy for the next four years. It is a call to action for professionals working in hearing and balance. The strategy is the product of an extensive process for the BSA Council, and underlying each year is an action plan to ensure we achieve what we set out to do. To make this plan a reality we need all involved in the BSA to become engaged with it so we can have the maximum impact. 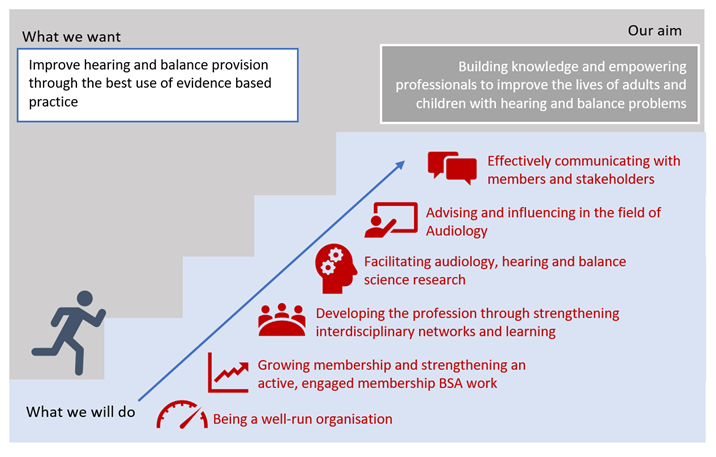 The British Society of Audiology approaches its 50th year (in 2017), it is appropriate to review the successes of the past and in so doing modernise for the future. This strategic plan will attempt to do both and in so help the BSA grow its multidisciplinary membership. 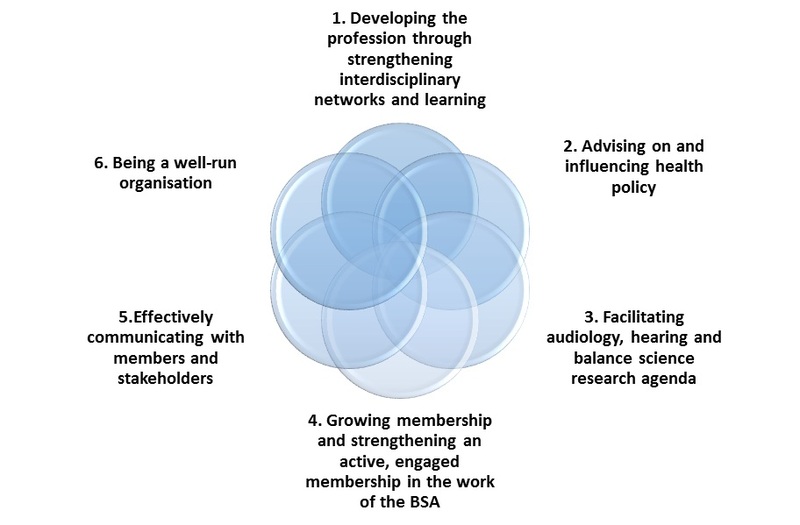 The success of the British Society of Audiology depends on its members. If you are already a member, please think about what you can contribute. What the BSA accomplishes is achieved by working together. This important document gives a summary of our strategy for the next three years. It is a call to action for professionals working in hearing and balance. The strategy is the product of an extensive process for the BSA Council, and underlying each year is an action plan to ensure we achieve what we set out to do. To make this plan a reality we need all involved in the BSA to become engaged with it so we can have the maximum impact. Members can access the full strategic plan through the members pages, please log on to see it.